Comfort Touch is an app designed to allow consumers to adjust their home’s room temperature remotely, wherever they happen to be. For example, they can remotely access the system and see how warm it is at home and then adjust the temperature. It also provide useful information about the boiler’s performance as well a facility for the consumer to contact the installer direct, should this be necessary. The Comfort Touch app gives consumers the freedom to set a weekly programme and/or holiday/away mode. Our Intergas Comfort Touch is an incredibly easy-to-use room thermostat. 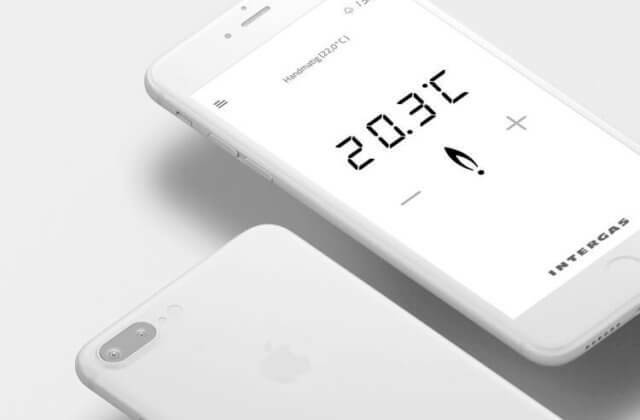 Raising or lowering the temperature, using its touchscreen display, has never been this simple or intuitive. If that wasn’t enough, its sleek and compact design (only 13 mm thick) means it blends perfectly with any interior design.